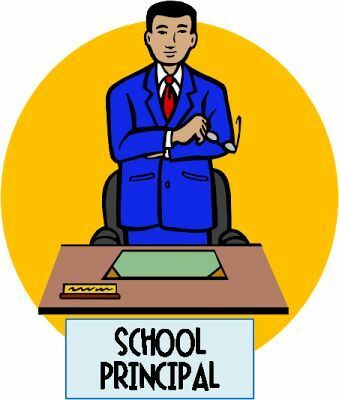 If you're a chapter leader, you have frequent dealings with the principal. A whole lot of it is not good. For example, when UFT members get in trouble, they are always right and he is always wrong. Even though that goes without saying, you have to not only say it, but also repeat that message fairly consistently. Then when things look really wrong, you have to file grievances and fight them for, oh, a small number of years. Even as you fight the battles, knowing he is 100% wrong, you have to continue on with the day to day business of negotiating things like MOSL, additional classes, health and safety, and a hundred other things. So being perpetually at war is not always the best way to go, though it's one way. Sometimes things happen that surprise you. (Despite the title, this involves a wasp nest, and not a hornet's nest. I thought it sounded better the other way.) I started to get complaints maybe a week ago. No one seemed sure of exactly where they were. Some people said it was outside a classroom, and others said it was outside a trailer. But no one gave me an exact location. Last week a teacher got stung and was out checking with a doctor. Those stings are pretty nasty. And if a teacher can get stung a whole lot of kids can be stung too. I reported this to the principal. The next morning he came in with a big old can of wasp spray. I was pretty surprised. I asked why he was doing it and why no one else was. He said it was easy. All you have to do is spray the nest and that's pretty much it. Another teacher, who seemed to know what he was talking about, said yeah that's all there is to it. I was impressed. I'm not what you'd call handy. If there's some issue in my house, I always hope we can pay someone to fix it. When I try to fix things, I tend to take a very long time. Also, when I'm finished, the things I fix tend to be in worse condition than they were before I undertook the task of improving them. So the idea of approaching a wasp nest with nothing more than a spray can holds little appeal for me. 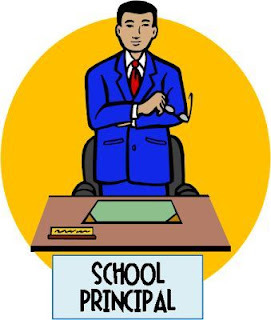 Of course, I haven't been to principal school, where I suppose you learn about these things. And look at it this way--if a whole lot of principals were out spraying wasp nests, there's be a lot fewer issues in schools. Maybe they should make that a thing in the Leadership Academy, or wherever it is they're training principals nowadays. Last night I got a text with photos. The wasp nest was by trailer four and we finally had proof. The principal passed by our office this morning and reported the nest was no more. The wasps had passed to that eternal nest in the sky. I gotta say I was impressed. I'm not sure exactly what custodians are supposed to do about wasp nests, or what DOE exterminators are supposed to do. I don't doubt there are many Very Important People at Tweed getting paid very high salaries to have Deep Thoughts on this topic. But due to executive action on the part of our particular executive, fewer UFT members and fewer kids are going to be stung by wasps.